Expat view from Lyon, France: The Wallace Bar staff worked a furious pace all night and will be anxiously awaiting the results after a wee hours rest. Goodnight from Vieux Lyon. Clackmannanshire: Declaration imminent and it looks like the No side are very confident - the mood has definitely changed in the Yes camp. Le premier résultat vient de tomber. Il est en faveur du "non" avec 19 036 voix, le "oui" ne recueillant que 16 350 suffrages. 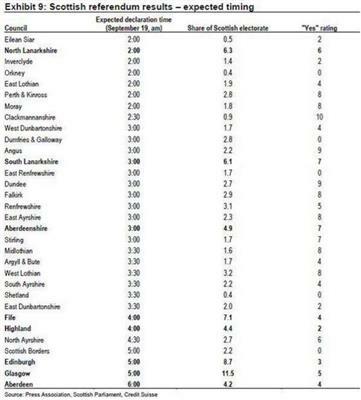 Ce résultat est une indication mais assez faible puisque Clackmannanshire n'est qu'une petite communauté du centre de l'Ecosse. 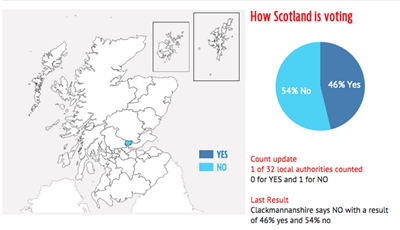 Clackmannshire is the first to declare - and it's a "No"
A small place, but a very clear result. Voici un tableau qui donne l'heure approximative des annonces de résultats. La plupart sont attendues vers 3 heures et 4 heures du matin, heure française. Les scores les plus importants, ceux d'Edimbourg et de Glasgow, ne seront pas connus avant 6 heures du matin. Résumé illustré des deux informations chiffrées de la nuit : le sondage qui attribue 54% au non, et le résultat de Clackmannanshire qui est exactement le même. Evidemment, sourire radieux dans le camp du "non" à Clackmannanshire. Deuxième coup porté aux indépendantistes :dans le comté d'Orkney, le "non" l'emporte largement. Orkney is second to declare results - a resounding, and not largely-expected, "No"
#AlistairDarling "Every political party must not listen to the cry for change.Which could be echoed in every part of our United Kingdom"
The Bank of England will make no statement after Scottish voters decided to remain part of the United Kingdom in a independence referendum, a spokesman for the Bank said on Friday. 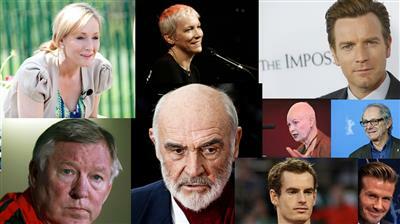 In the run-up to the referendum, many celebrities made a public pro- or anti-independence stance. 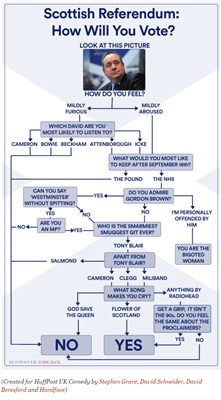 Find out if any of your favourites came out in support of the referendum. I've just spoken to Alex Salmond, congratulating him on a hard-fought campaign. I'm delighted the SNP will join talks on further devolution. British PM David Cameron is making an address. 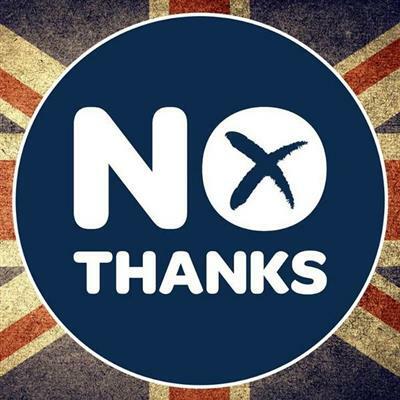 - Scottish rejection of independence is 'a clear result', says Cameron. 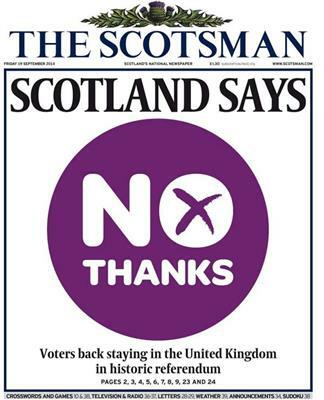 - Cameron says he wants a 'balanced' constitutional settlement for the whole of Britain after this no vote. - Scotland will be given more powers 'in the next parliament', promises Cameron. 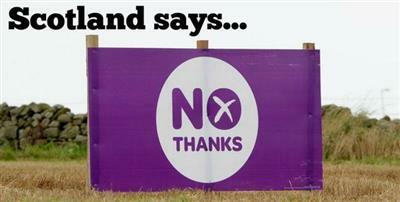 - It was right to give the Scots their say, says Cameron. - The Scottish National Party (SNP) will join talks on transferring further powers to Scotland, Cameron added. - Draft laws to give Scotland more powers are to be published by January. 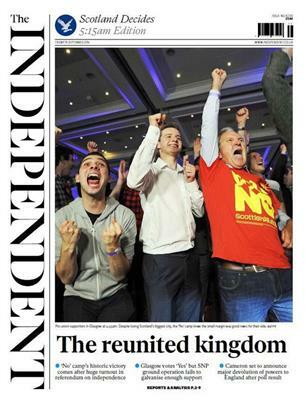 - Cameron calls for "new and fair settlement for all parts of the UK." ''Les engagements envers l'Ecosse (NDLR : transfert accru de pouvoirs) seront respectés'', indique David Cameron. Le président du Parlement européen Martin Schulz se dit ''soulagé du résultat''. The vote on independence has not only divided communities, but families too. Our correspondent Joanna Gill made this report. 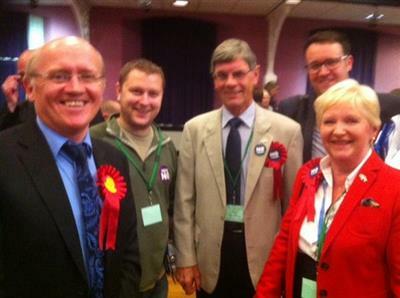 We're still waiting for the Highland results. A serious road crash closed the main A9 road at around midnight BST which, according to Highland Council, would cause "some delay" to ballot boxes being received. This is the only region yet to declare. 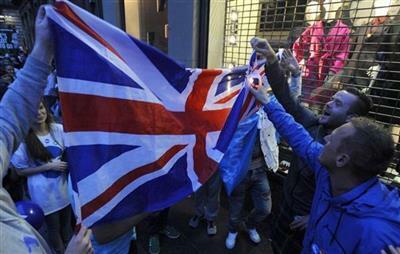 A Glasgow, les unionistes brandissent l'Union Jack, le drapeau du Royaume-Uni. What next for other regions in Europe? 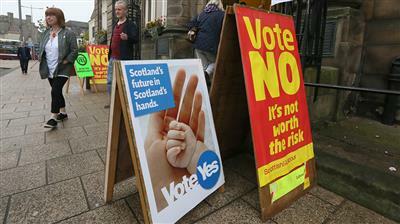 Independence campaigners in Spain have been closely watching the referendum in Scotland. A similar vote is planned in Catalonia in November, which the Spanish government in Madrid strongly opposes. 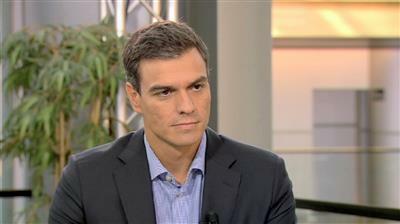 Euronews spoke to Pedro Sánchez, the leader of Spain's centre-left Socialist Party (PSOE), which is now in opposition. And what about Flanders and Wallonia? 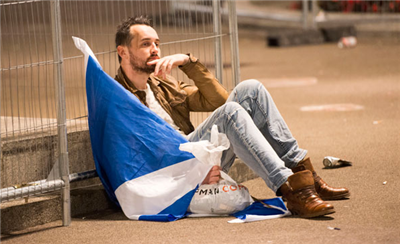 What is happening in Scotland could be relevant for some Belgians in a country divided into rich, Flemish-speaking Flanders and the poorer French-speaking Wallonia. European shares surged higher early on Friday, buoyed by gains on the UK stock market which rose after Scotland's decision to vote "No" to independence from the United Kingdom. Britain's blue-chip FTSE 100 index rose by 0.7 percent, with Scottish-based stocks such as Royal Bank of Scotland and utility SSE among the top-performers, rising by 3.2-3.3 percent respectively. The FTSE, which had underperformed going into the Scottish vote this week, beat a 0.5 percent rise on Germany's DAX and on France's CAC. The pan-European FTSEurofirst 300 index was up by 0.8 percent at 1,409.36 points. "There's a bit of a relief rally, now that the Scottish vote is over," said Toby Campbell-Gray, head of trading at Tavira Securities. 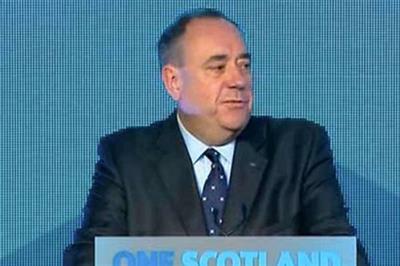 Revivez le discours d'Alex Salmond. Le leader du Parti nationaliste écossais (SNP) a reconnu tôt ce matin la défaite de son camp. Highlands - YES 78,069 NO 87,739. 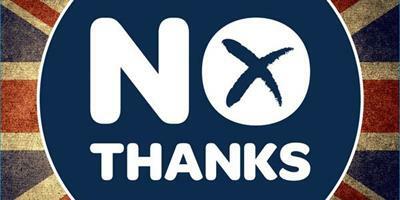 NO vote wins the final local authority area to end the Scottish Independence referendum. The United States and other allies had expressed concern that breaking up Britain, whose nuclear missile force is based in Scotland, would weaken an important member of NATO. 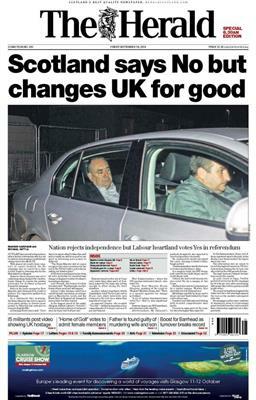 (ANSA) The Italian government on Friday said Scotland's No to independence from the UK would boost the EU. "The Italian government, also in its capacity as duty president of the EU, hails the result of the vote democratically expressed by the Scottish people," the premier's office said. "The EU will certainly benefit from a renewed commitment of the United Kingdom to strengthening our common action. Italian Premier Matteo Renzi on Friday said that recognizing and appreciating diversity, but not fragmenting, is the message that Scotland sent with its vote of no to independence from the United Kingdom. 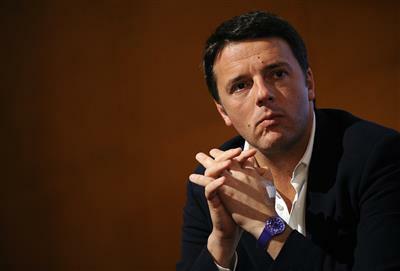 In a message to British Prime Minister David Cameron on Friday, Renzi said: "The Italian government renews its strong desire to strengthen and consolidate its relationship with your government on bilateral, European, and international levels". Le Waterloo Ducks sur le toit de l’Europe!